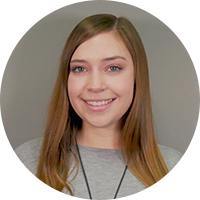 Catherine is a senior at Millersville University seeking a Bachelor’s degree in Communications. Originally from Upstate New York, she moved to Pennsylvania in 2006 and has enjoyed living in a more temperate climate. While pursuing her degree, she developed an interest in blogging and social media marketing and hopes to strengthen these skills through her work at Track5. In her free time, she loves to cook, travel, hike, paint, and go to concerts.